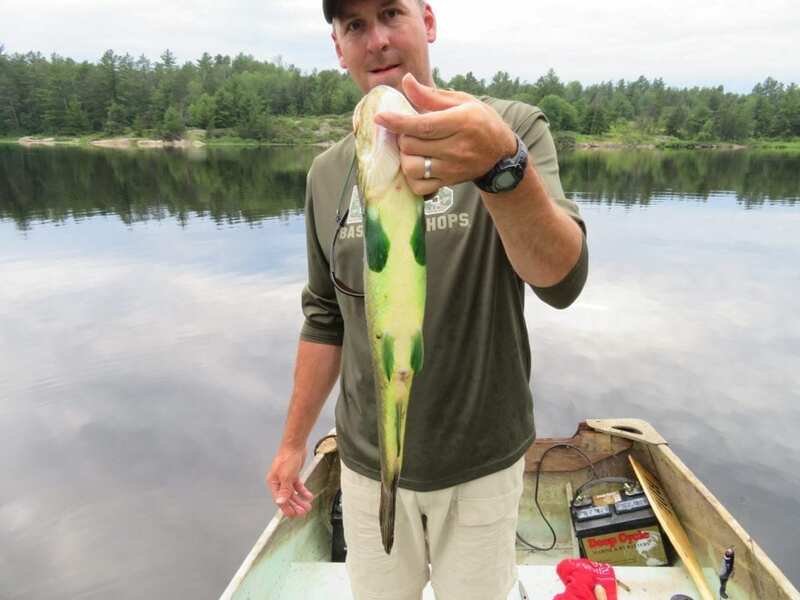 Can you guess why the bowfin is emerald green? 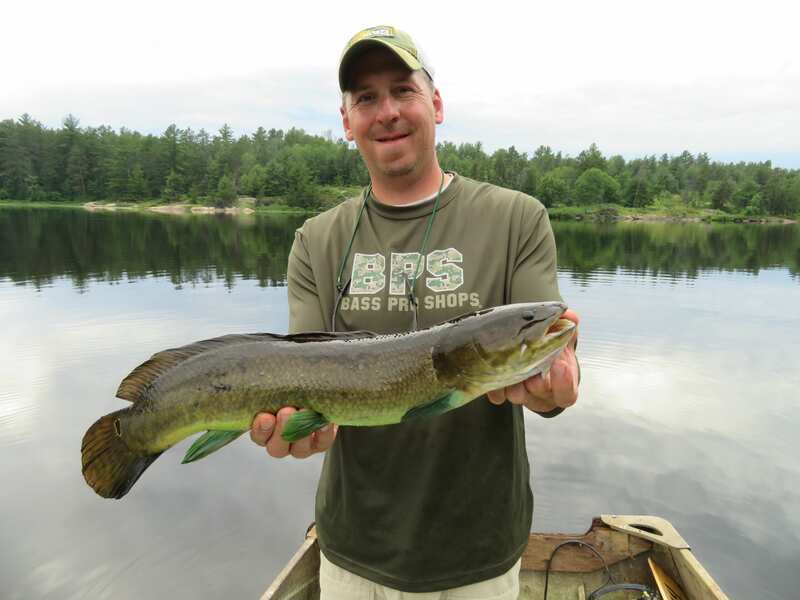 Bowfin or sometimes referred to as “Dogfish” come in a variety of shapes and at times colours. Their bodies are generally cylindrical and eel like in appearance. Normally their sides and back can be olive to brownish in colour with vertical bars for camouflaged pattern. 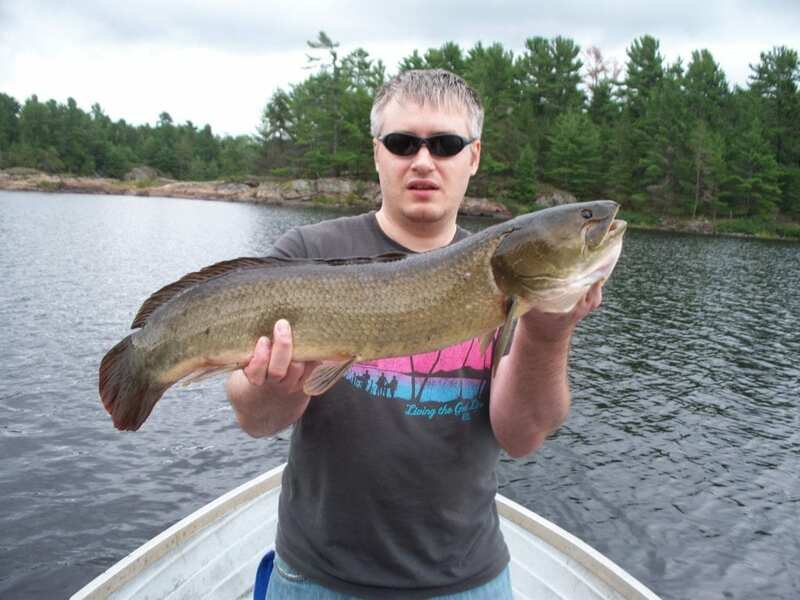 Their underbellies are a whitish-cream colour like most other freshwater fish in Northern Ontario such as this bowfin below. Chris Crilly’s Line Class World Record 29-inch Catch & Release French River Bowfin. But, why the brighter emerald-greenish colour you ask? Just like mergansers and other various species of birds, who strut their brilliant plumage. Spawning. Out of mating season, male bowfin (especially younger ones) can be quickly identified by the yellow ring around the black dot near their tails whereas the females lack this distinct ring. Though when conditions are met between age (2 – 3 years minimum) and water temperatures, the males make a physiological change in appearance to attract females for spawn. The males make a nest in freshwater vegetation and courtship begins when females approach them. Courtships can last for hours and females leave their male counterparts the fertilized eggs to take care of. As a side note, it is not unusual for these fish to have multiple partners as females can lay up to 64,000 eggs, leaving clutches of eggs in various nests. 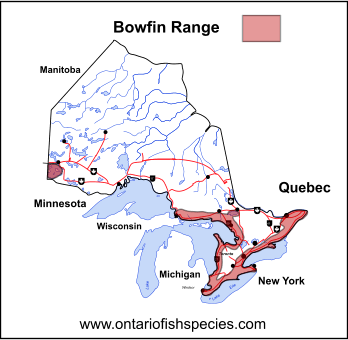 Concentration of Bowfin in Ontario and the surrounding Great Lakes as provided previously by Ontario Fish Species. Stephen T. Ross (2001). The Inland Fishes of Mississippi. Univ. Press of Mississippi. p. 94. ISBN 978-1-57806-246-1. Randy Jackson. “The Bowfin: New York’s Disrespected Living Fossil”. 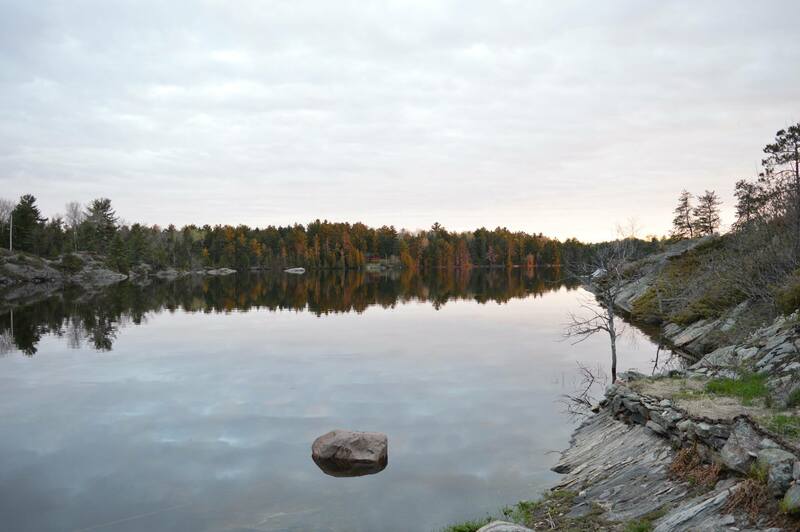 New York Department of Environmental Conservation. Retrieved June 11, 2014. Freshwater Fishes of South Carolina. Univ of South Carolina Press. 2009. p. 80. ISBN 978-1-57003-680-4.